Description : Want to attract and keep more visitors to your site or readers to your blog? Now you can have dynamic weather right on your site or page with netWeather v2.0. 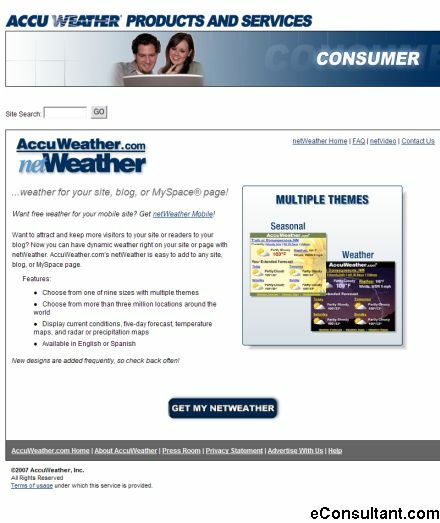 AccuWeather.com netWeather v2.0 is free, and easy to add to any page or blog.